Custody issues can get complicated when one parent wants to move. There is a presumption that relocation by the custodial parent will be permitted, but the non-custodial parent has the right to object. Things are not so straightforward, however, when the parents share custody equally. The plan also provided that either parent who planned to move would give notice to anyone entitled to court ordered time with the child. The father filed a notice in April, 2017, stating his intent to move with the child. His current wife was entering a five-year residency in emergency medicine and pediatrics in Baltimore, and he planned to join her there. Child support can be a very contentious issue. When parents share residential time equally, one parent may feel that he or she should not be responsible for child support. Under Washington family law, however, a court does not have to offset one parent’s basic child support obligation against the other parent’s basic child support obligation when they share residential time equally. The father in a recent case appealed a child support order, arguing the court had failed to apportion the child support between both parents. The parties had previously been married and had two minor children together. They shared equal residential time. The original child support order required the father to pay $1,449.36 monthly. The father petitioned to modify the child support after his company went out of business. The parties entered a written stipulation to suspend the child support payments, but the mother reserved the right to seek back support from the time of the suspension. Tax issues can be a significant hindrance in Washington divorce cases. Couples may fight over who claims the tax exemption for the children, who declares the children as dependents, and the effect of any tax credits related to the children. In a recent case, a husband challenged the child support order due to several tax issues. He also challenged the asset distribution. According to the court’s opinion, the couple had four children together. They separated in March 2015 and the wife obtained a domestic violence protection order. The husband moved out of the home. The husband stopped paying the mortgage in August and the home went into foreclosure. The wife learned that the husband arranged a short sale. After the wife and children moved out, the husband took the house off the market and moved back in. The trial court awarded the house to both spouses “as tenants in common for sale” and ordered them to list the house for sale within 90 days. The trial court set the child support payment at $723.46. The trial court found the husband did not have sufficient means to pay spousal support and meet his own needs. The court also ordered the husband to pay half the wife’s attorney fees. The husband appealed. When a parent does not exercise his or her visitation time, the child is obviously affected, but so is the other parent. In addition to any scheduling issues that may result, there are also financial effects on the other parent. A parent who completely stops visitation may reduce his or her own child-related expenses while increasing those of the other parent. 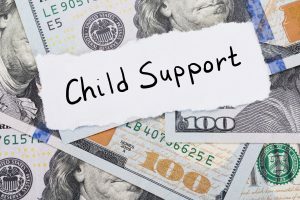 A Washington appeals court recently held that, in a Washington family law case, a court may deviate from the standard calculation to put a greater child support obligation on a parent who abdicates visitation. In this case, the parties had been divorced since 2004. Under a modified parenting plan, the father had residential time with the two children on Wednesday evenings, every other weekend, and half of holidays, school vacations, and other special occasions. The mother sought an increase in child support above the standard calculation in 2013. She argued she had an increased financial burden because the father had abdicated his residential time with the children. The trial court found the father had voluntarily stopped having contact with the children in late 2010. The trial court found it was not authorized to deviate from the standard calculation due to the father’s lack of residential time because the combined monthly income of the parties was less than $12,000. On appeal, the appeals court found the trial court did have the authority to deviate from the standard calculation where a parent lessens his or her financial responsibility by abdicating visitation. The appeals court sent the case back to the trial court to make appropriate findings and determine the appropriate deviation. Courts have broad discretion in ordering postsecondary educational support in Washington family law cases. Washington law sets out a number of factors courts should consider, including the parent’s expectations for the child, the child’s aptitude, the nature of the education sought, and the parents’ level of education. RCW 26.19.090(2). If the court considers the factors, it does not abuse its discretion in awarding postsecondary educational support. A Washington appeals court recently considered whether a trial court abused its discretion in modifying an order for postsecondary educational support. The father had obtained modification of child support through default after the mother did not appear or respond to his petition. The modified child support order required the mother to pay for postsecondary educational support and 52% of the son’s uncovered medical expenses. She was also required to maintain a life insurance policy. The order allowed either parent to petition for modification as long as the son was enrolled full time in school until the age of 24. The mother subsequently moved to reduce her child support obligation. The husband moved to dismiss, arguing that there was not a substantial change in circumstances to justify the modification. The appeals court noted, however, that the default order had provided for modification. The court considered the financial evidence and how the parties expected their son’s college to be funded. 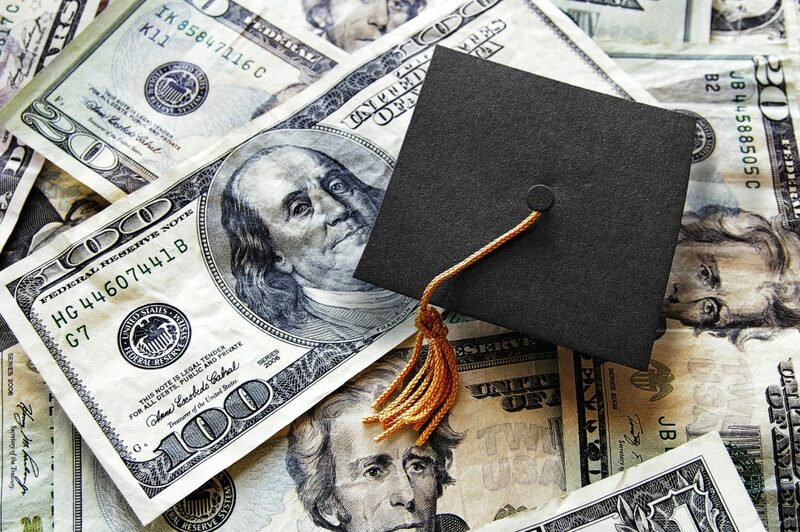 The court lowered the postsecondary support payment and eliminated the obligation to pay uncovered medical expenses and maintain life insurance. The court also ordered all future postsecondary support payments be made to the son. The father appealed. In a Washington divorce, parents generally cannot escape child support obligations by being voluntarily underemployed. If the court finds the parent is underemployed for the purpose of reducing the child support obligation, the court can calculate child support based on imputed income. A Washington court recently considered whether a father was subject to imputed income because he stopped working overtime after the separation. In her motion for child support, the wife alleged the husband was voluntarily underemployed. The trial court entered a child support order, imputing income to the husband based on past earnings. The husband appealed. The husband argued the court erred in finding him voluntarily underemployed and in imputing his income. The husband owns and operates a commercial harvest diving business. He previously owned and operated as many as four commercial dive boats and worked as boat captain and diver until about six months before the separation. He stated he had previously worked over 80 hours per week and worked out of town for weeks at a time. He claimed he had been able to work so much during the marriage because the wife had been a stay-at-home mother and homemaker. He argued he was unable to maintain that schedule and care for his children on the shared schedule. His salary dropped from $146,884 in 2015 to $93,094 in 2016.